Where does the time go? Surely we can’t already be approaching December! It really is amazing how quickly time seems to go by and deadlines we thought were far away are all of a sudden upon us. Has your company done all the necessaries to comply with REACH regulations? The final registration date for low volume chemicals is the 31st May 2018. This edition will be the last of 2017 so we would like to take this opportunity to advise when our offices will be closed over the Christmas period. Our last working day will be Thursday, 21st December and we will be in the office again on Tuesday, 2nd January 2018. We wish you and your families a very merry Christmas and a happy and healthy New Year. 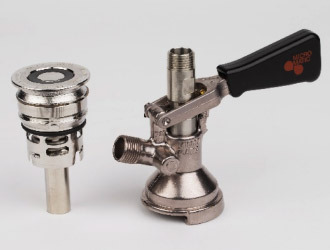 In this edition of the newsletter we discuss how you can make regulations work for you and we hope you find our profile of the Mini Valve interesting. Also featured is an introduction to our newest team member, Giuseppe Fiorello. Please don’t hesitate to contact us for more information concerning our products. REACH legislation: are you maximising its marketing potential? There are a huge variety of chemicals being manufactured in the world today with varying degrees of toxicity. 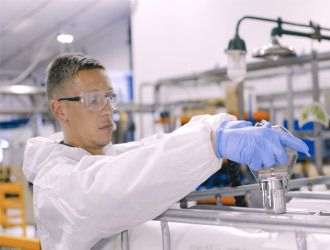 Europe stands as a front-runner in setting high standards of worker protection against health and safety risks at work, seeking to provide guidance in the safe handling of chemicals, which includes the recommendation that closed loop transfer systems should be implemented where possible. We are delighted to introduce the newest member of the IPI team, Mr Giuseppe Fiorello, who joined us in March 2017 as Market Developer. 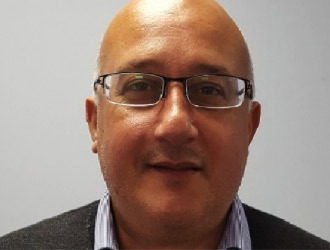 A licenced chemist and member of the Italian Chemical Society, Giuseppe has a Masters in Inorganic and Chemical Physic and has had papers published in international magazines such as ‘Macromolecular Chemistry and Physics’. Mini Valve (MIV): Liquid Foodstuffs Dispensing System The Mini Valve system from Micro Matic is integrated into heavy duty, refillable containers which can be emptied at point of use by pump, pressure or vacuum methods.